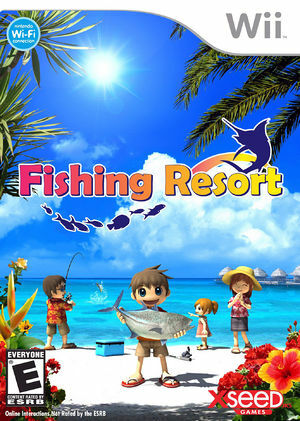 Players start out in 'Fishing Resort' ('Familty Fishing' in Japan) by customizing their own unique character, and can choose to make a cartoon-style character of themselves, or someone entirely different. 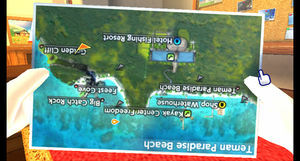 Add in over 200 items such as shoes, clothes, sunglasses, backpacks, hats and much more, and each player is given the tools to create an entirely unique character with which to explore the island. Fishing is accomplished by mimicking real-life fishing motions using the Wii Remote to cast and moving the Nunchuk in a circular motion to reel in fish, which range from pond guppies to massive marlins over 10-feet in length! The graph below charts the compatibility with Fishing Resort since Dolphin's 2.0 release, listing revisions only where a compatibility change occurred.